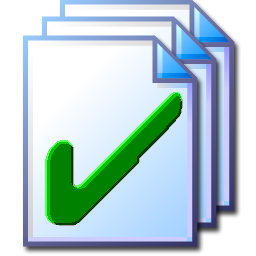 EF CheckSum Manager is a program designed for the integrity examination of files on the standard formats SFV, MD5 and SHAx. (CRC32 (SFV), MD5, SHA1, SHA224, SHA256, SHA384, SHA512, SHA-3 224, SHA-3 256, SHA-3 384, SHA-3 512) They can verify existing checksums or create new checksum for your important data. The EF CheckSum Manager is easy to use and much fast, supports the recursive processing of file structures, works up to whole drives. You have the choice to let only one checksum file for all files, one per folder or to produce for each file separate checksums. Perhaps you know the problem: They burned important data on CD, the burning program means all OK but are you sure that your data is real to 100% with the originals? The EF CheckSum Manager helps to eliminate you such doubts fast. Provide in addition simply before archiving the volume of data to burn with checksums and test you directly after the burning process the integrity of the data. The checksum files are small and only little storage location need. You can burn these also additionally to the actual data also on the CD. So you can examine the integrity of the data also later still at any time. A further important application field for checksums is the transmission of data over the Internet. If you send files by E-Mail to friends, nobody can guarantee to 100% that the arrived files are unchanged, also correctly. If you send also a checksum file additionally, the receiver can determine on the basis the checksum whether the received files are OK or not. Also many files in the Internet are offered for the Download, e.g. Linux distributions in form of whole CD images, frequently with additional checksum files, often in the MD5 format. 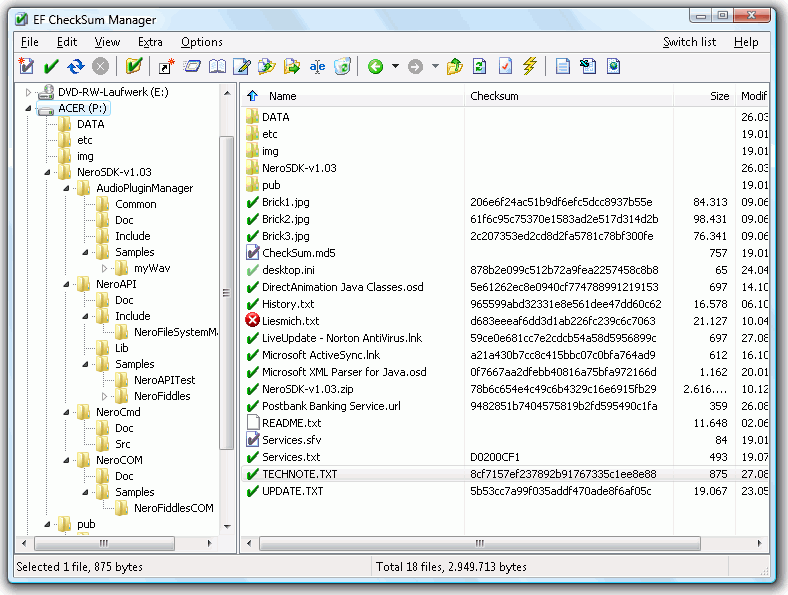 The EF CheckSum Manager makes possible to verify in a simple manner the integrity of the downloaded data. Save online costs, download only the bad, corrupt, incorrect size or missing files. The following languages are included in the package: English, German, Arabic, Catalan, Chinese, Dutch, French, Hebrew, Hungarian, Italian, Japanese, Korean, Polish, Romanian, Russian, Spanish, Swedish, Taiwan, Ukrainian.